We stayed in Soho while in New York City last week and it may have been one of my favorite neighborhoods we’ve stayed in yet. We’ve done Upper West Side, Upper East Side, Financial District, Midtown, Downtown, and the Flower District; all of which were lovely within themselves, but there is something so quintessential New York in Soho. Everyday before our meetings began we would wonder around the neighborhood all bundled up in search of coffee and a warm place to enjoy it. 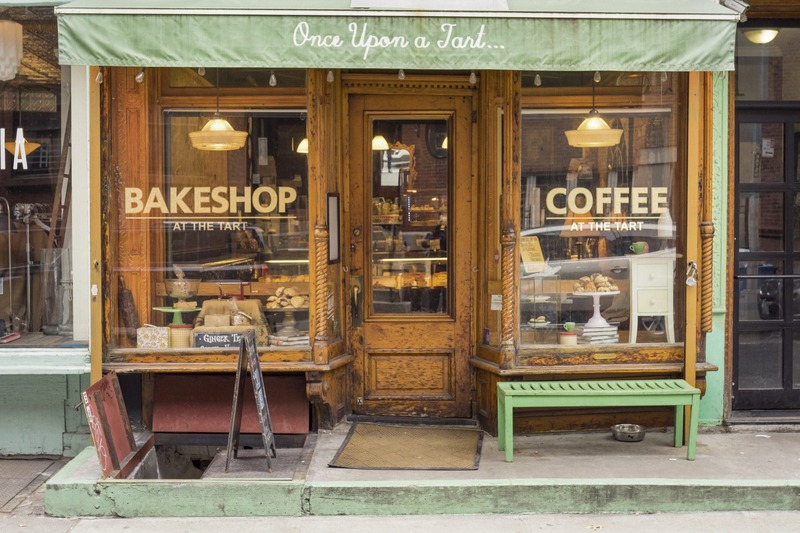 One morning we turned a new corner and ran straight into “Tart”, a tiny coffee shop tucked into a sleepy Soho street. We instantly knew by the bright benches and idillic windows that it was the spot for us. We popped in and Ryan ordered a cappuccino, I ordered an “oat milk” latte, which was surprisingly delicious, and we sat next to the cafe’s tiny space heater as we planned out our day. That is one of my favorite things about New York, there are literally surprises around every corner, just like this coat! 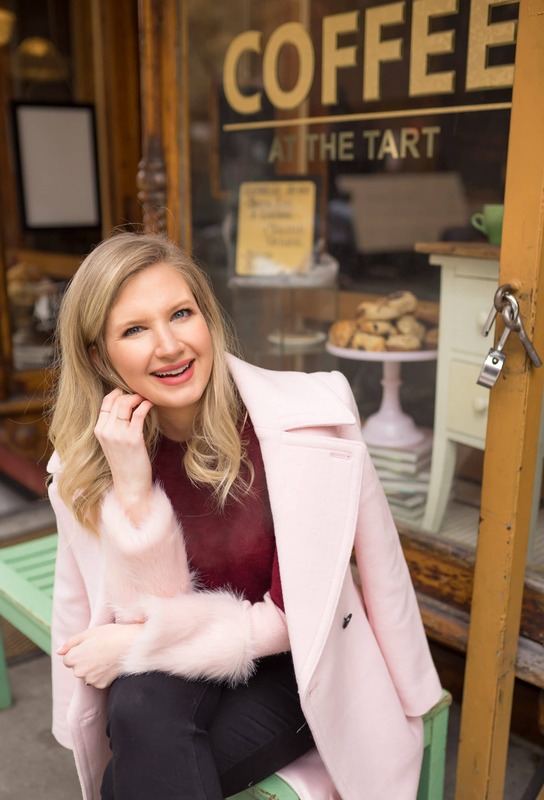 Similar to the coffee shop, I found this pink coat (50% off!) while browsing shops in Soho in between meetings and just had to have it. I didn’t own a pink coat at the time, mostly because we live in Florida and it felt a little silly and frivolous. That is until I realized (or rationalized, ha!) 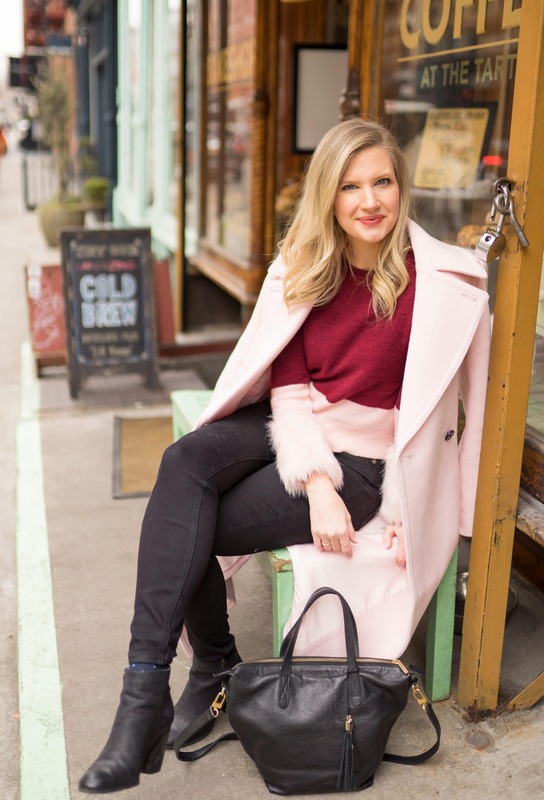 that pink is truly a staple in my closet, therefore this coat was a neutral. So I scooped it up and haven’t looked back. During our trip to New York and Rhode Island it ended up being my most worn item. It went with everything in my suitcase and it was just so stinking pretty that I couldn’t help but want to wear it each day. It’s safe to say that I completely and utterly fell in love with this coat and it will forever be one of my favorite, magical New York finds! 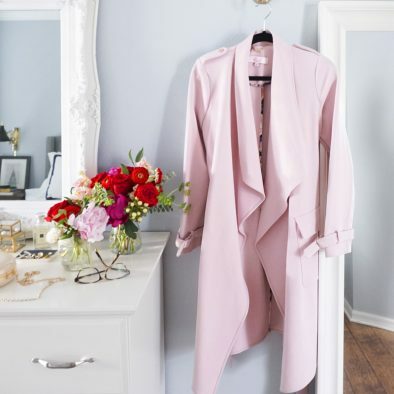 Below are a few of my favorite pink coats that are under $200, because even though it’s a neutral, it doesn’t need to break the bank! I separated these finds into two categories — Coats & Trenches and Faux Fur & Fuzzy Jackets to make it easier for you to shop depending on what you are looking for. The coats and trenches are definitely more of a classic look, but who says you can’t spice it up and get something with extra sass?! In December of last year you may remember this post with the faux fur jacket. It was under $50 and such a fun statement piece, so keep that in mind. These fuzzy jackets are definitely more of an accessory to a look, so I made sure I found lots of budget friendly finds like this one that only $49! And last but definitely not least, below is the exact look I’m wearing! When I bought the pink coat, I also threw in this color block faux fur sweater (similar budget friendly version here). It was just so different and I fell in love with it as soon as I saw the cuffs. Also, if you are looking for a GREAT pair of shoes for walking around New York in, I’d HIGHLY recommend these boots from Nordstrom. I buy them on repeat, they’re under $60, and I can’t say enough great things about them! I have always wanted a pink wool coat!! I was in NYC last October but didn’t get to explore much of SOHO (stayed at an Airbnb in the UES). I can’t wait to go back some day soon and continue exploring. Cheers. Oh my gosh, you totally need one! They are THE best! 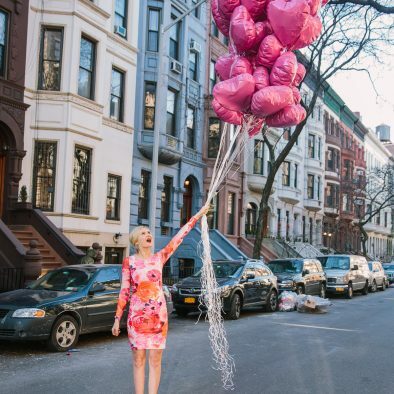 Next time you are NYC you’ll have to explore Soho!